Adding warmth, a little aggression or a combination of the two is a great way of reinvigorating elements of your tracks, and can be done without spending a penny. One of your options for attaining that analogue vibe is Shatter Glass Audio's SGA1566, which models itself loosely on a vintage tube preamp. They've made some changes to the original design for this plugin version, added tone controls and made it stereo. You can add warmth to the track using the SGA1566 as a saturation compressor, or "dirt" with tube overdrive. To achieve the most authentic analogue sound, the circuit is simulated in real, though this comes at a price and is CPU-heavy. There is a mode for significantly less CPU usage, but this sacrifices the accuracy of the circuit simulation. Check out some of the examples below. 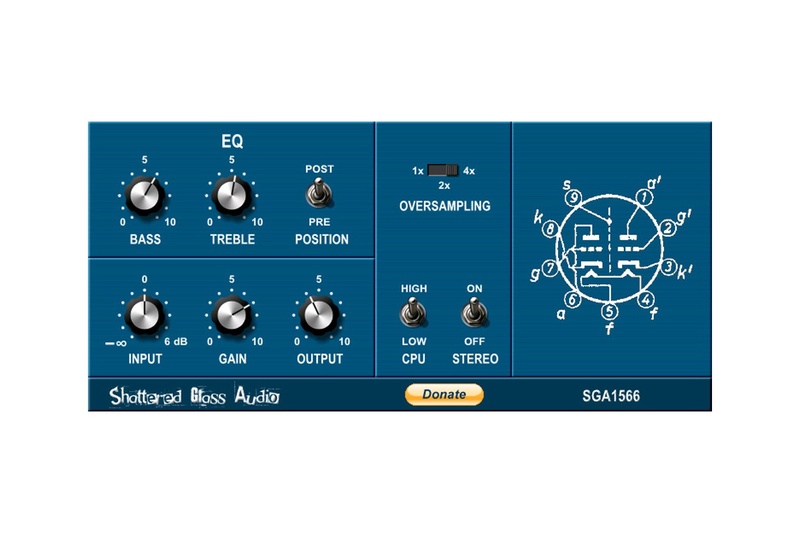 SGA1566 is available to download for Mac and PC (AU/VST).